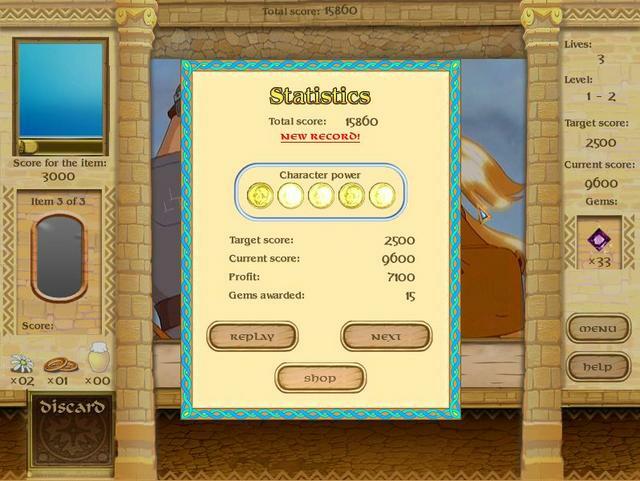 A thrilling Arcade-Puzzle game based on shape recognition. 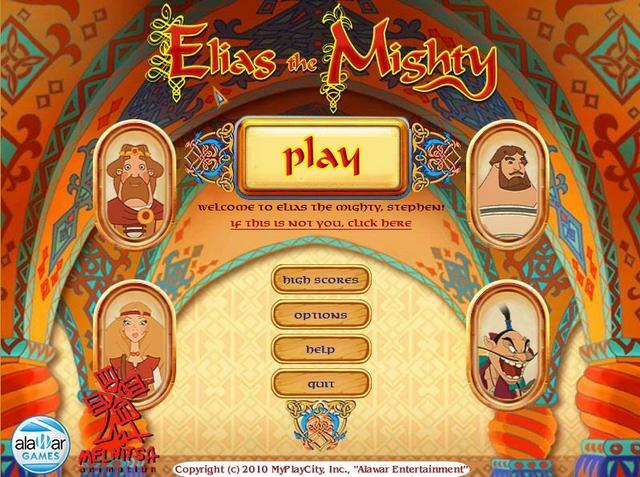 Elias The Mighty was available as a giveaway on March 24, 2019! 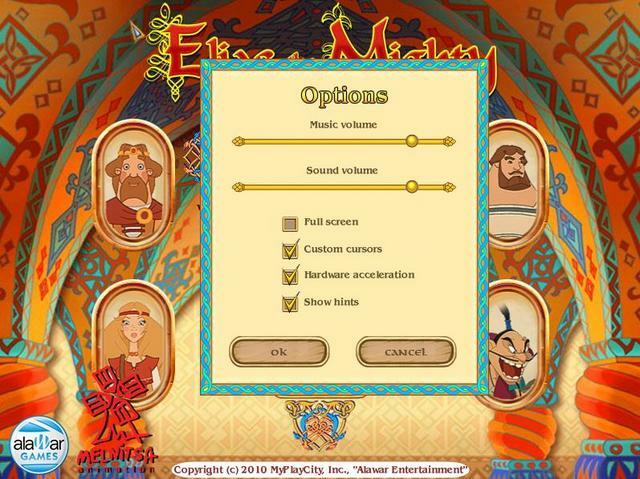 Based on the legendary Russian folk hero, Elias the Mighty is a thrilling Arcade-Puzzle game based on shape recognition. 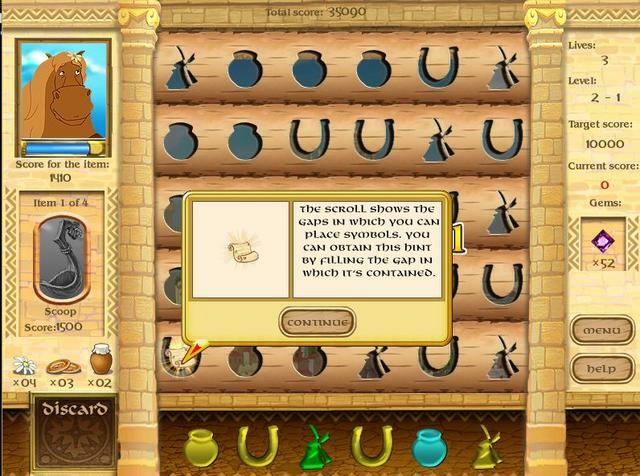 Match the objects with their corresponding shapes to keep Elias and fellow characters strong. Use food to increase the power of your character. Their health will fade fast without your Puzzle expertise. 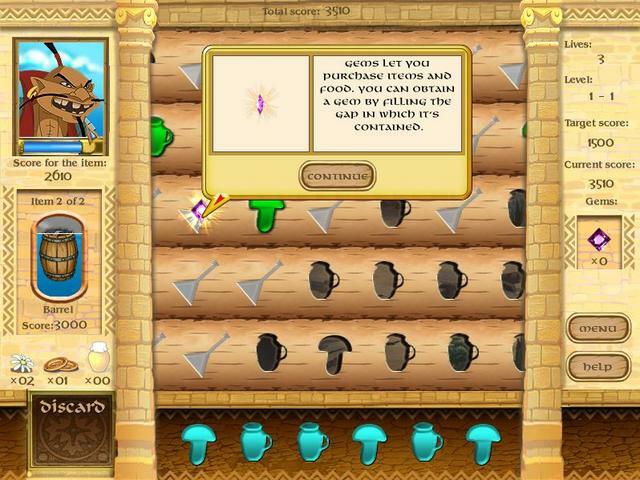 Collect gems and spend your riches on more items. 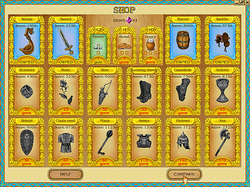 Fight alongside Elias the Mighty in a storyline steeped with tradition. How would you improve Elias The Mighty? 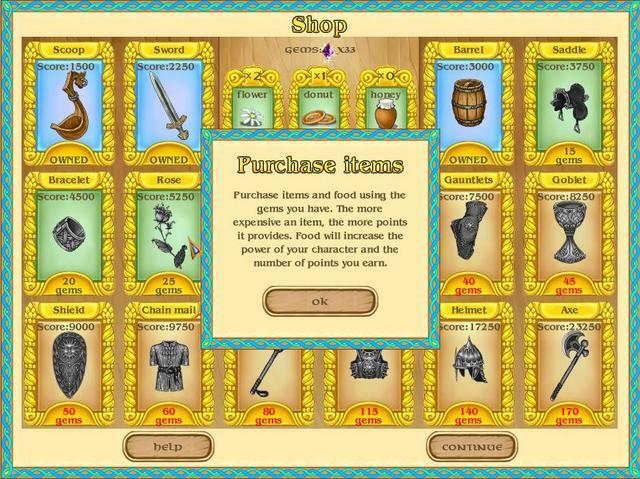 Gain access to online stores and manage licensed game copies. Based on a Russian folk hero called Elias the Mighty. 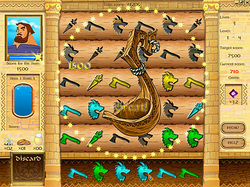 The game is a casual arcade puzzle game that is over 11 years old and based on shape recognition. Elias The Mighty downloads to a 33.3 MB zip file that unzips to three files, (a setup.gcd security wrapper the set-up file and a read me). The game installs to the following path by default, but can be changed if you wish. The installed game is approximately 34.5 MB (37.5 MB )in size. Ever notice how most great movie villains have foreign accents? Russian, German, British… it usually depends on when it was made, but the common thread is there. Animated films are particularly notorious for this. 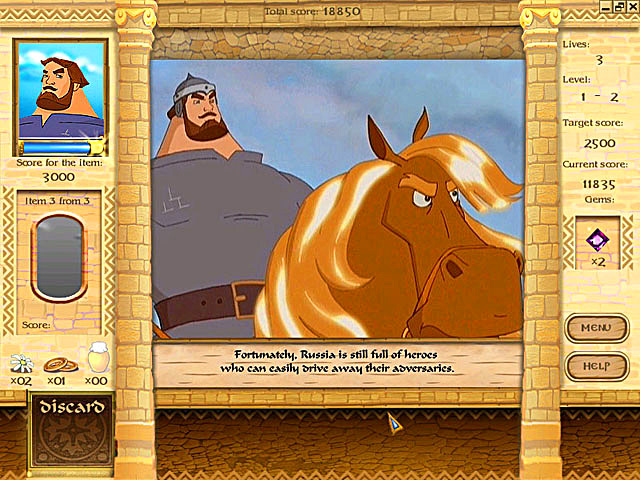 You will find plenty of Russian villains in Elias the Mighty, but also some Russian heroes too – in fact, the game is based on a Russian folk legend. When the story opens we learn that Russia is full of scoundrels, and I don’t mean communist spies. These guys make Stalin look like Santa Claus. 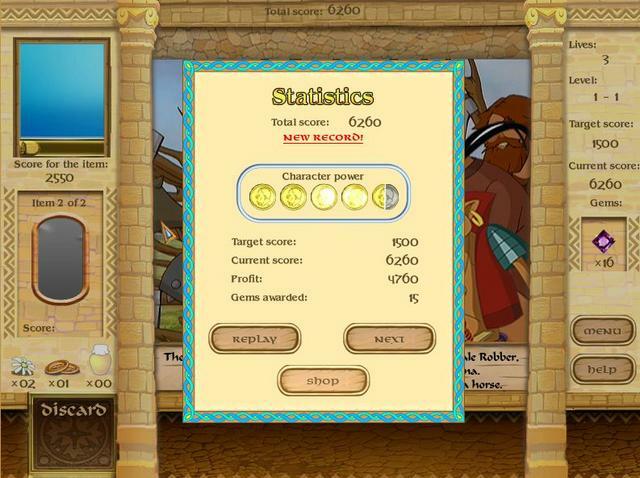 The Nightingale Robber lurks near the river at Smorodina, and no one can get past him. What’s a country to do? Well, luckily for the citizens, Russia is also full of heroes like you, Elias the Mighty. Being absolutely flipping enormous has its advantages, as you’ll see when the bad guys go flying across the story screen. How to beat these fiends? You must match a variety of symbols to their correspondingly shaped gaps. These shapes are varied each round, and include horses, bulls, feathers, jugs, and all manner of other objects. 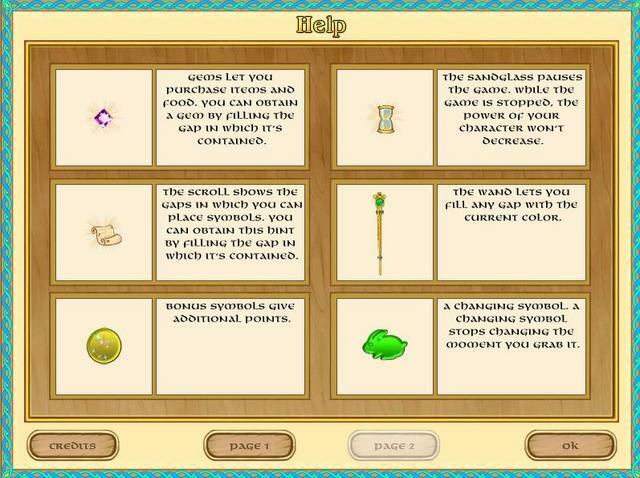 At later levels, there are even changing symbols, which stop their shape shifting once you’ve grabbed them. 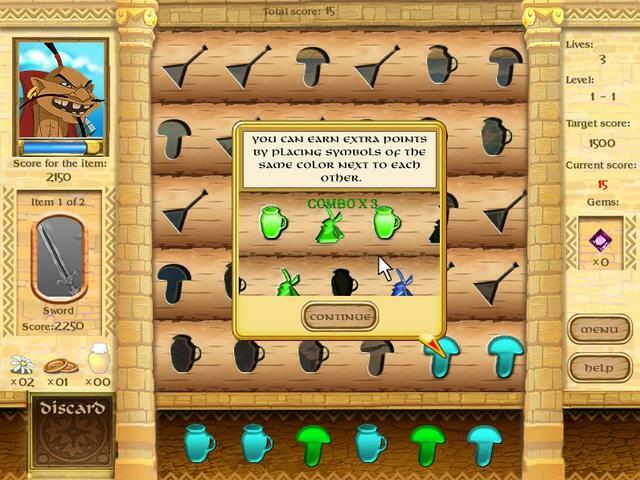 You gain bonus points for placing shapes of the same color next to each other, so it really pays to have rows of all blue, green, or yellow in order to bring up the score. 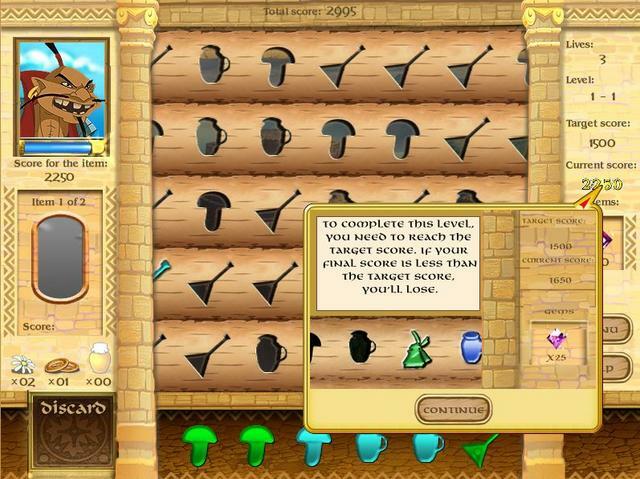 In order to beat each level, you need to beat the target score. If you don’t make the cut, you lose one of your lives. You’re only given 3 lives to live, after which you must start again, so the pressure is on. 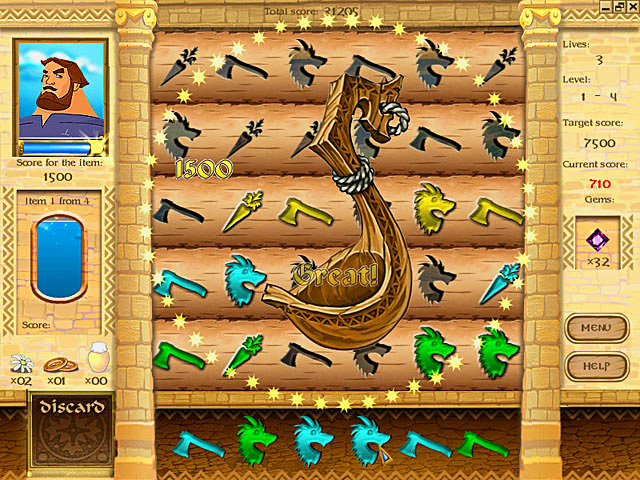 Elias loses power gradually throughout the game, which lowers the number of points that he earns when the round is over. Flowers, donuts, and honey are all food items which can boost your power. An army marches on its stomach – remember that. It’s good to keep plenty of food handy. Discarding unwanted tiles also boosts Elias’ power. There are several special gaps to take notice of, giving you certain temporary powers. The wand lets you fill any shaped gap with the current color. 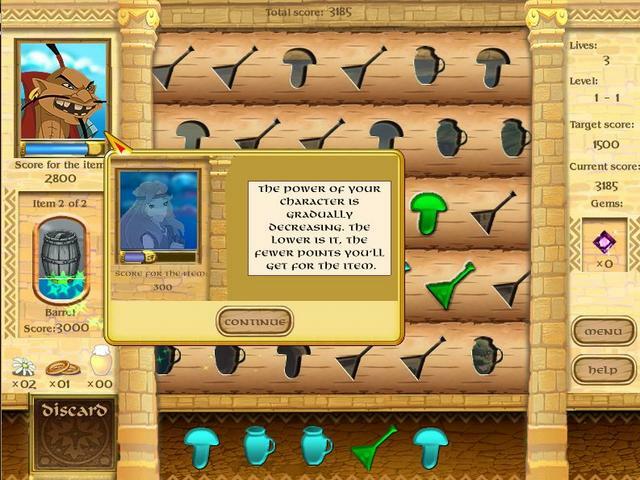 Bonus symbols give additional points, and hourglasses will “pause” the game, preventing Elias from losing power while its activated. 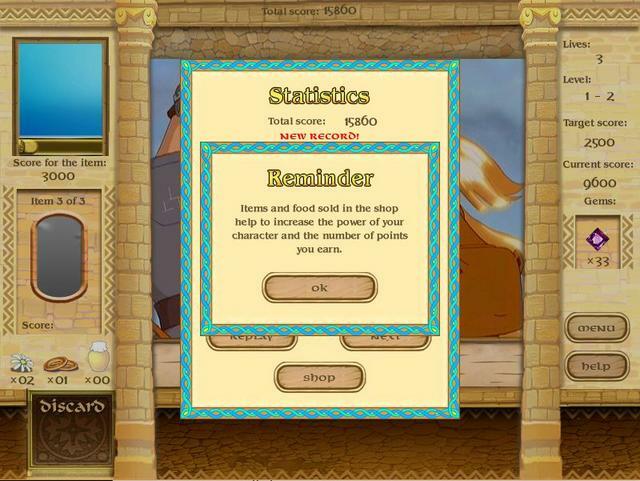 Scrolls give you hints on where to place symbols, and gems can be used to buy food and equipment. Of course, to be a good hero you need some equipment. Equipment boosts your points, relative to Elias power level (so the more power he has, the more all of his items are worth). 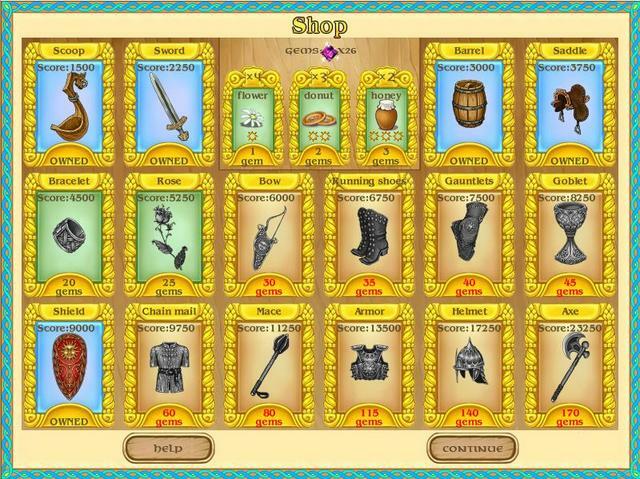 You can purchase items and food using the gems you’ve earned, which you pick up by matching pieces to gem tiles. To start you get a scoop, sword, and barrel. As you gain riches, you can buy thirteen different upgrades, including chain mail, a shield, an axe, a helm, and even a steely rose. 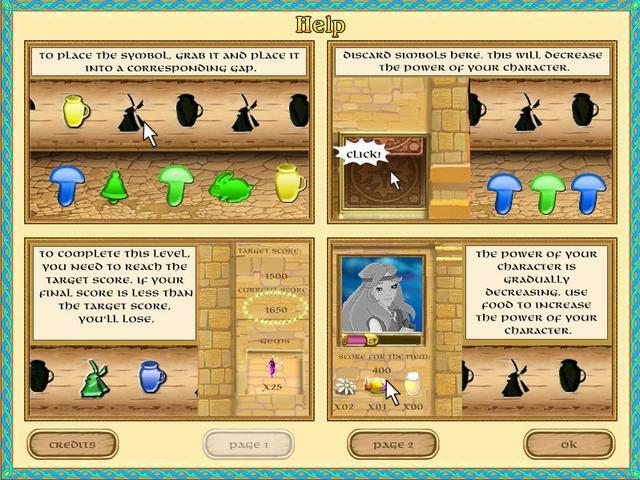 Elias the Mighty has high quality 2D graphics, which look like what you’d find in a good animated children’s movie. The music is suitable, and the general atmosphere is fun. While it’s not completely unique, it’s not a clichéd genre either, so its something different than what you see a lot of in casual games. Unfortunately, Elias the Mighty also suffers from some mighty notable flaws. The story premise is engaging, but ends up poorly executed. 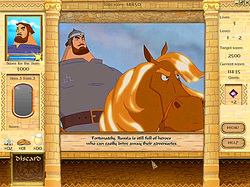 The story screens are shown in between each level. Quite a number of these story screens include no text captions, so you’re left to imagine what is happening. For example, you might be shown a scene of bandits flying through the air, but its up to you to figure out if they are jumping to attack, or being thrown off by Elias. When you are given story, it is generally very short, maybe a sentence or too, and feels awkward. The whole plot is generally hard to follow. While the notion of Elias’ power and how it relates to score points is interesting, it can become frustrating to constantly have to feed the big guy. It’s nearly impossible to get past levels four and five without resorting to constant feedings. I suppose if I ate nothing but honey and donuts and flowers I’d be hungry all the time too, but still…it puts a lot of pressure on the player to try and fill his gullet while focusing on the matches. Also, despite a number of upgrades, the game dynamics don’t change much from level to level, so it becomes very repetitive after a short while. There aren’t any mini-games, nor many power-ups that drastically affect the game play. 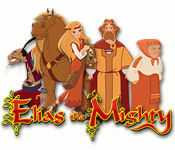 Elias the Mighty is a mighty good attempt, but it falls mighty short. It would be great to see a sequel which has a stronger story, and more variety from level to level to keep the players more engaged. I've not played an image recognition game in years, and was expecting to find this boring, Remembering that we were given one several years ago (the name of which escapes me at this time). Well, I actually found the game mildly entertaining and at times challenging. Definitely a keeper for me. 7 out of 10 for game play. You can read other comments about Elias The Mighty HERE (scroll to the bottom of the page to see comments). If you're having problems installing or activating or getting Elias The Mighty to work please visit the FAQ's Thread HERE and read through the communities comments because sometimes fixes have already been posted, for example, a common issue seen since the Themida wrapper was introduced three years ago is that some community members installation of the game are blocked by their security because Themida code has been known to hide malware, (usually an error message is flagged for example 'The executable is corrupted' even though in reality it is not); so as a precaution some anti malware programs will block and even delete the suspect installation files even though the files (i.e. the setup, read me and setup.gcd files are actually totally free from malware. This issue can be solved either by rebooting your computer in safe mode with networking or a quicker method is to temporarily turn off your security software to allow the installation. You could also try white-listing the setup.gcd file. In the almost 12 years this game giveaway site has been operating there has 'never' been a game given away that was infected with malware. I'd like to take this opportunity to thank MyPlayCity for giving away Elias The Mighty and also to the game giveaway team, as always, for securing other ways to get free games. 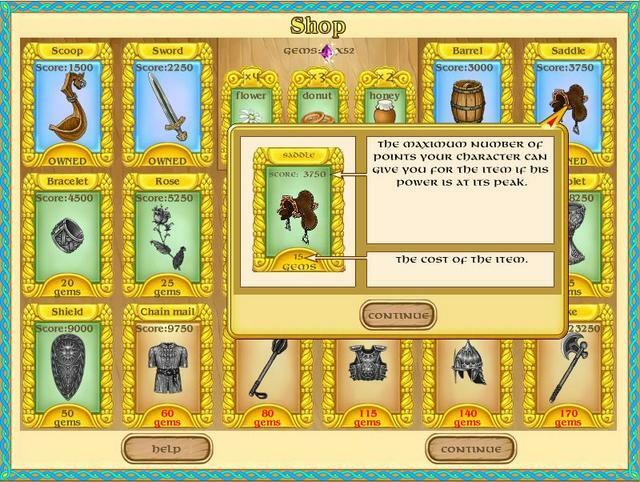 If Elias The Mighty doesn't interest you, but you still hanker for something new to play, you'll find details of some game deals whether they be sale items, indie bundles or games being given away for free HERE (I've not updated the thread in a while, but most of the links still take you to the latest deals). 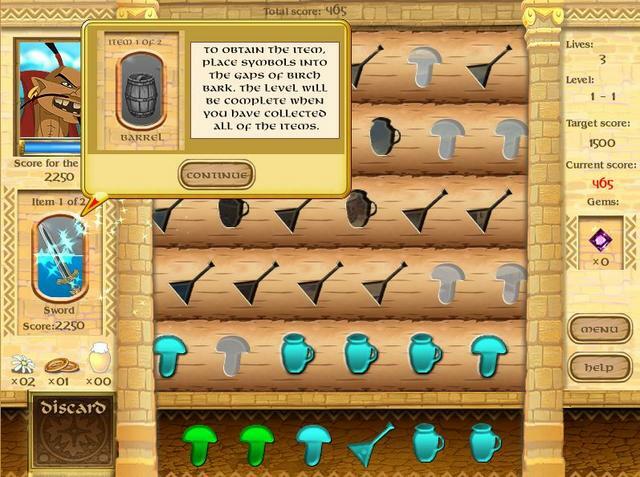 I think the other similar game you're thinking of might be "Mysteries of Horus." Personally, I find this type of game -- where you have to race to amass X points under pressure -- too tense (I play games to relax/escape from pressure) but I can see it would suit others. 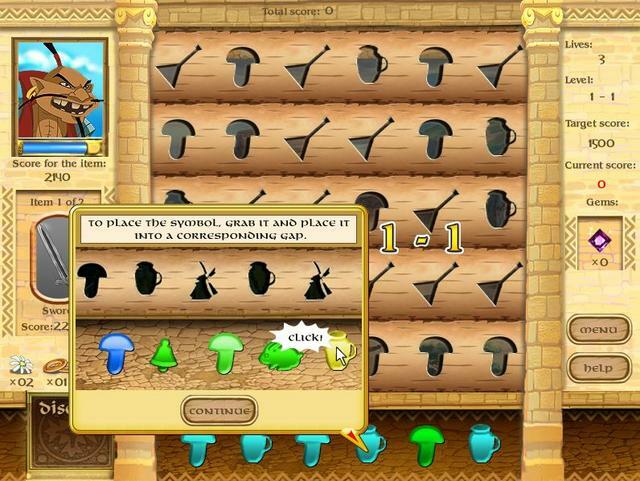 I think the other similar game you're thinking of might be "Mysteries of Horus." Personally, I find this type of game -- where you have to race to amass X points under pressure -- too tense (I play games to relax/escape from pressure) but I can see it would suit others. I've been a really big fan of yours (and of GGOTD) for several years, it's always nice to see what new goodies you have for us each weekend. I haven't tried this one yet, so I can't give you a review, just that it is great to see something different from the plethora of HOG's and Match 3's that dominate the game market. The occasional Tower Defense and Solitaire are also welcome additions to my collection. As an aside, it would be nice to see these games made for Linux computers at some time. I find that I'm spending more and more time on Linux and less and less on Windows, so it would be nice to have an outside source of quality games for that platform. Just saying. Keep up the good work, you are really appreciated. I've been a really big fan of yours (and of GGOTD) for several years, it's always nice to see what new goodies you have for us each weekend. I haven't tried this one yet, so I can't give you a review, just that it is great to see something different from the plethora of HOG's and Match 3's that dominate the game market. The occasional Tower Defense and Solitaire are also welcome additions to my collection. As an aside, it would be nice to see these games made for Linux computers at some time. I find that I'm spending more and more time on Linux and less and less on Windows, so it would be nice to have an outside source of quality games for that platform. Just saying. Keep up the good work, you are really appreciated. Thanks BeBop. W.r.t. Linux games. At the moment I'm strapped for time, but I'll look into creating a thread in the forums that deals with free Linux games. BeBop, Thanks BeBop. W.r.t. Linux games. At the moment I'm strapped for time, but I'll look into creating a thread in the forums that deals with free Linux games.